In the middle of the recording process of their forthcoming new album, the band’s first since 2011’s “Untergrund”, Armageddon Dildos’ Uwe Kanka decided to release the EP “Herbstzeitlose” on MCD (available here) and as download (available here on Bandcamp). The MCD itself reveals 4 brand-new tracks plus 7 bonus remixes. You can already listen to 2 tracks below. 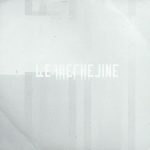 The bonus remixes were executed by fellow German cult acts PNE and The Psychic Force, next to reworks by Tolchock, Hell:Sector, Venal Flesh, Kant Kino and Technoir (about time we also hear something new from Steffen Gehring now that we think of it!). Fans will love this new 11-track EP. Warmly recommended! Armageddon Dildos formed as a duo (Uwe Kanka and Dirk Krause) in 1988 in Kassel, Germany and debuted 2 years later on the legendary Zoth Ommog label with the single “Never Mind / Pressure” followed up by “East West”. In 1991 they launched their very first album “That’s Armageddon”. Since then the band conquered the EBM hearts and minds despite having slowed down their output over the years. 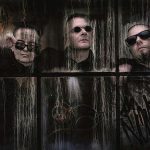 As of 2011 the band is signed to the Belgian industrial label Alfa Matrix where they released “Undergrund”.